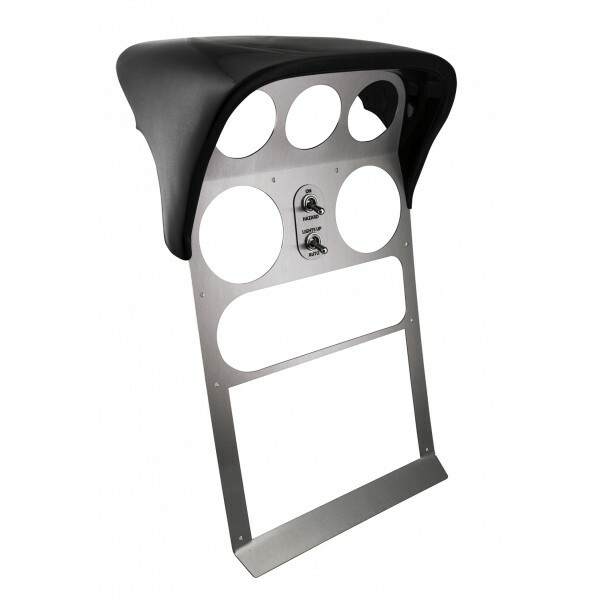 Stainless Steel Brushed Centre Stack Cover, known as "Tombstone" for MK1/NA MX5/Miata with custom extension for additional gauges/controls/displays. Offered here and initially with 3 standard gauge cut outs. Comes with integrated set of vintage toggle switches for the pop up and hazard lights, matching the design of the tombstone. It is plug and play solution, engineered for exact, tight fit, easy installation and assured highest quality. This version does not work with NA/MK1 facelift center stack (95-98 in some countries).